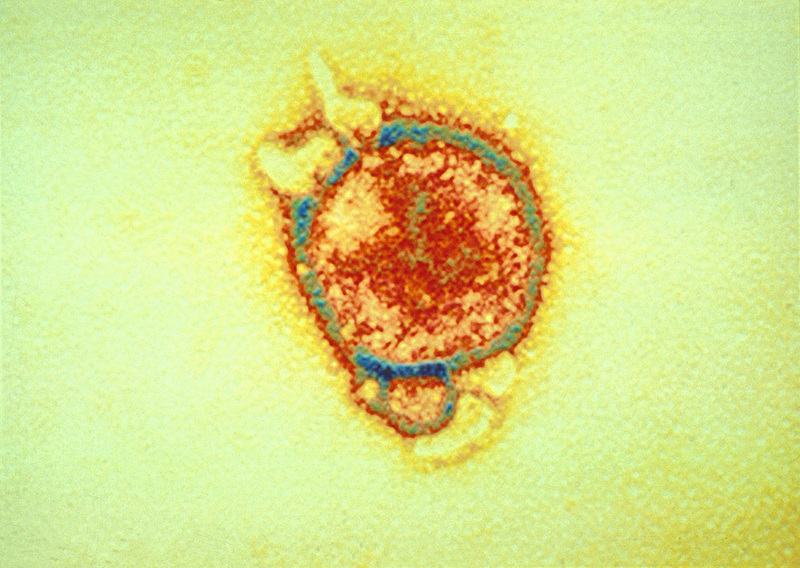 A coloured transmission electron micrograph of the Hendra virus. 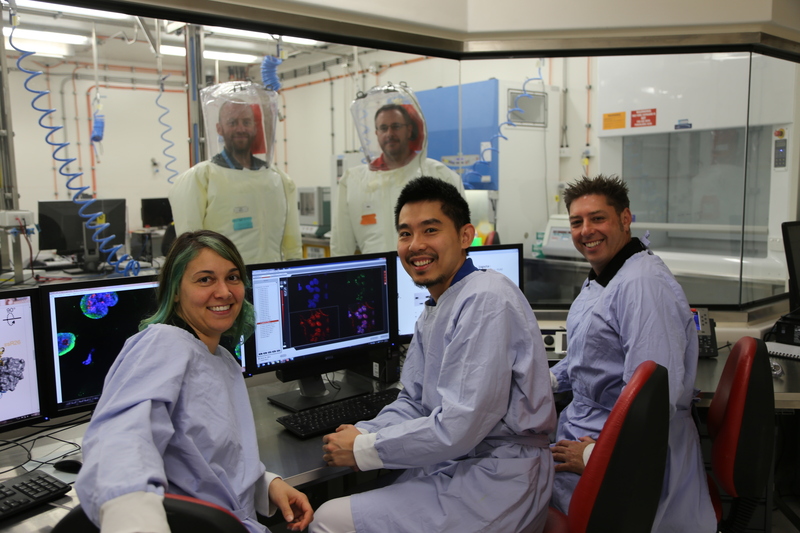 New research by our scientists at the Australian Animal Health Laboratory (AAHL) has revealed how the Hendra and Nipah viruses may exploit the host’s own immune response to spread disease. Both Hendra and Nipah viruses are harboured by flying foxes and are capable of spilling over to infect a wide range of mammalian hosts, including humans, where infection can be lethal. High case-to-fatality rates in humans make Hendra and Nipah viruses among the most deadly diseases in the world. Our research focused on discovering molecules in the human body that both viruses — Hendra and Nipah — use for establishing infection, paying close attention to microRNAs. MicroRNAs are small pieces of RNA that regulate gene expression. Of special interest, they play a vital role in regulating chemical pathways associated with diseases and the normal functioning of the human body. MicroRNAs are heavily studied in other areas of disease research, with billions of dollars being spent on developing microRNA therapies to help restore the body’s natural ability to fight cancer and cardiovascular disease. However, in the field of virology, microRNAs have largely been ignored as targets for treating viral diseases, as their role in promoting viral infection was considered minimal. Our new study, along with a few high profile reports in the past two years, has uncovered evidence to challenge this assumption. Our research identified microRNAs, expressed in human cells, that strongly promote infection by both Hendra and Nipah viruses. In particular, members of the microRNA (miR)-181 family promoted the entry of Hendra virus into cells as well as the subsequent spread of infection to nearby cells. Our report is the first to describe microRNAs encoded by our body that actually promote viruses to enter our cells. Our study also found that Hendra virus triggers an immune response that up-regulates miR-181 and may increase the severity of the disease. Not only have our scientists discovered ground-breaking revelations about Hendra and Nipah viruses, they are also the first in the world to conduct high throughput loss-of-function functional genomics screening at biosafety level 4. These efforts have now paved the way for other high containment labs around the world to apply this technology and identify new drug targets, especially for dangerous viruses like Ebola. This exciting discovery sheds light on how Hendra and Nipah viruses cause infection and disease in humans, and shows us how we might target select microRNAs to combat deadly diseases. More information on the study can be found, here. And you can find out more about out cutting edge research at AAHL, here. So now Hendra infection from megabat to human? >However, in the field of virology, microRNAs have largely been ignored as targets for treating viral diseases, as their role in promoting viral infection was considered minimal. There’s definitely been significant interest in developing siRNA-based therapeutics for viral infections over the years. However, the focus of our work and this article is specifically on the potential of microRNA therapy. Pertaining to miRNA therapy for viruses, HCV is the first success mainly because the “dogma” in virology for many years has been that HCV and its reliance on microRNAs (miR-122) is the exception, not the rule for RNA viruses. Little research was therefore done to look at the impact of host microRNAs on other RNA viruses. This thinking has only begun to change in the past two years, and our study is one of the few to add to this new paradigm that, many different RNA viruses do in fact utilize host microRNAs for efficient infection.